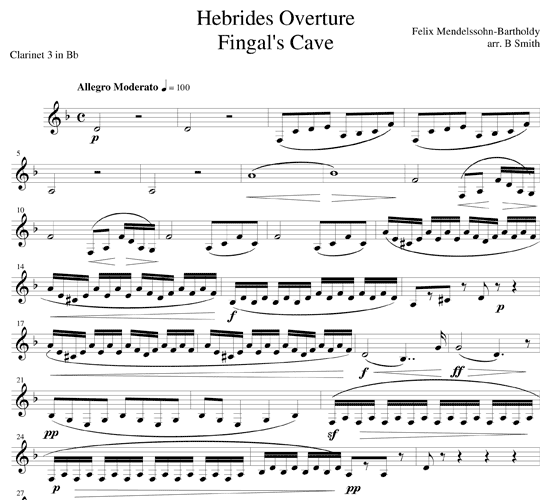 At the age of 20, Mendelssohn (1809-1847) took a small tour boat to the Scottish island of Saffa, which contains a massive natural rock formation called Fingal’s Cave. On the day of his visit, rough seas caused many passengers including Mendelssohn to become seasick. 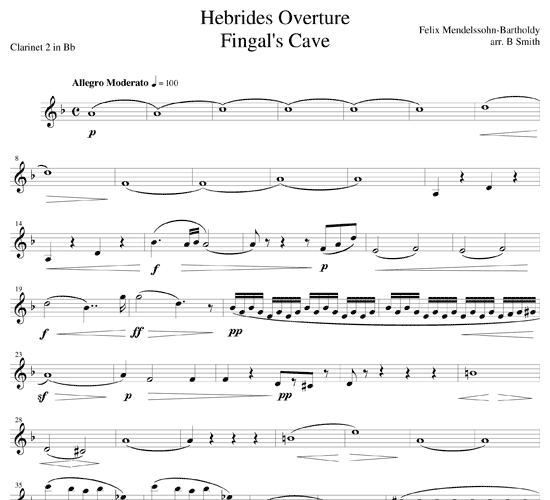 Fingal’s Cave Overture gives a sense of the little boat’s rocking and rolling on the waves. 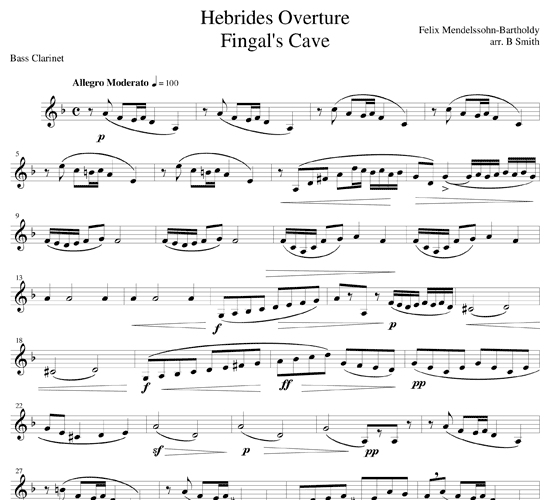 This arrangement can be played either as a short or as a long version. 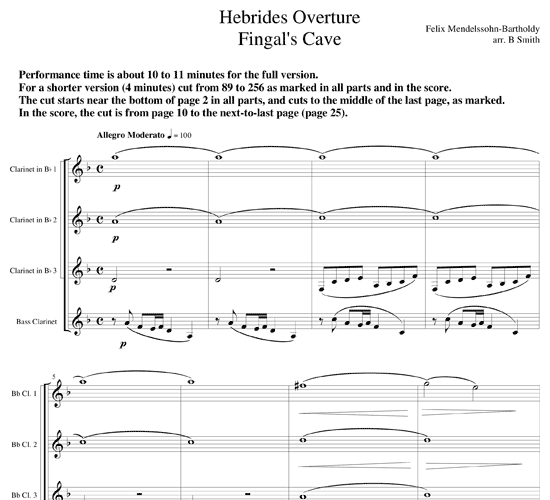 The full length overture is about ten minutes long. 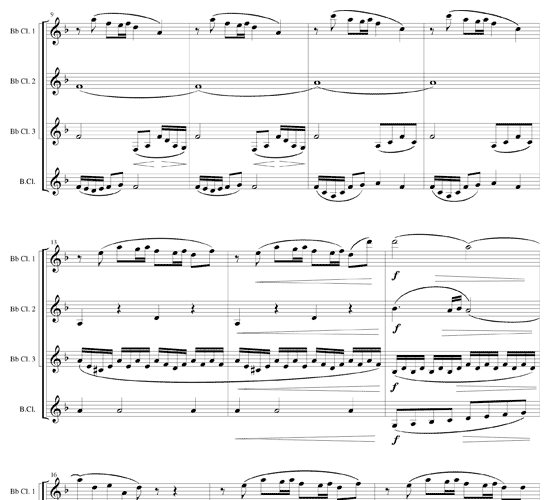 A marked cut (measure 89 to 256) provides for an abridged version of 4 minutes, while retaining the major themes via a reduced level of difficulty. 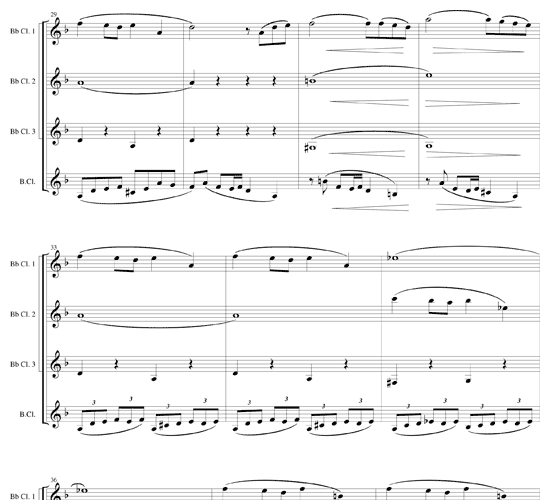 The sound file posted here is the short version. The cut removes much of the more difficult development section, and reduces the demand for players’ stamina. 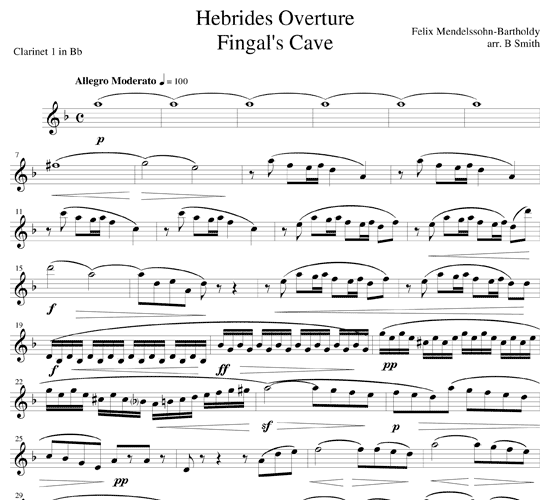 Either way, this arrangement of Mendelssohn’s Hebrides Overture is fun to play and hear. 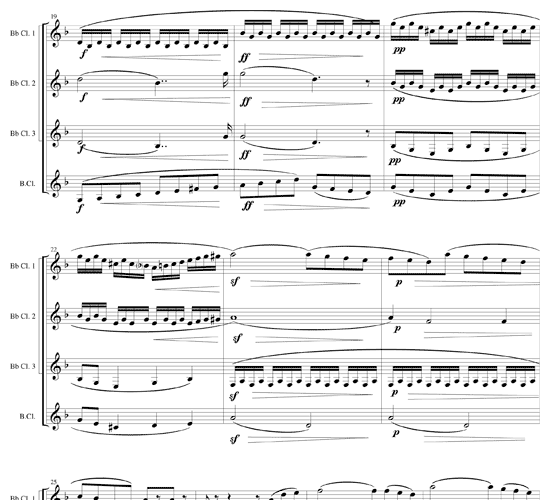 Themes are passed around between the three Bb clarinets. 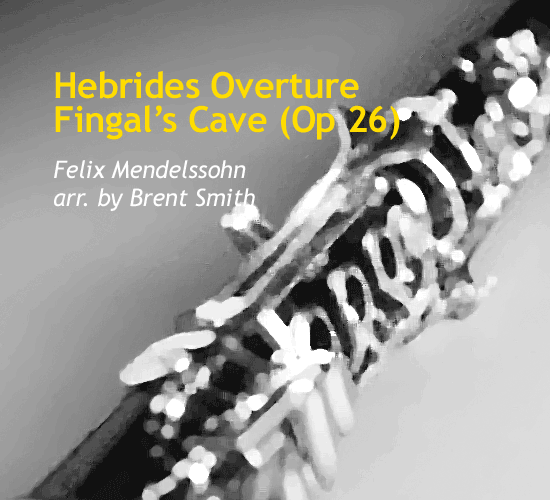 The bass clarinet is featured with beautiful melodic material throughout.